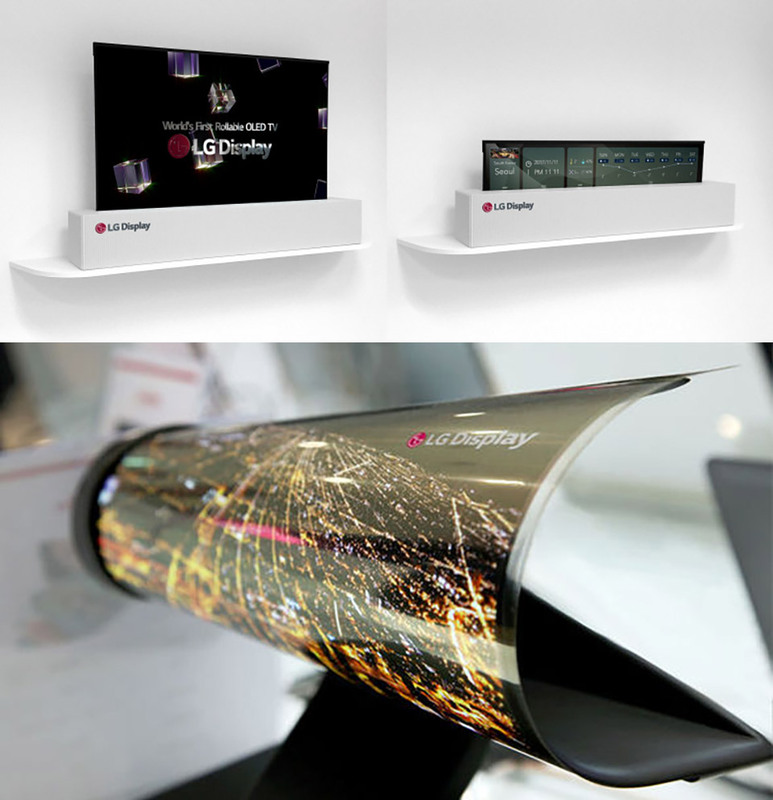 LG first unveiled a prototype rollable TV at CES 2018, and now this year, they introduced a 65″ OLED TV R that will actually go on sale some time this year. 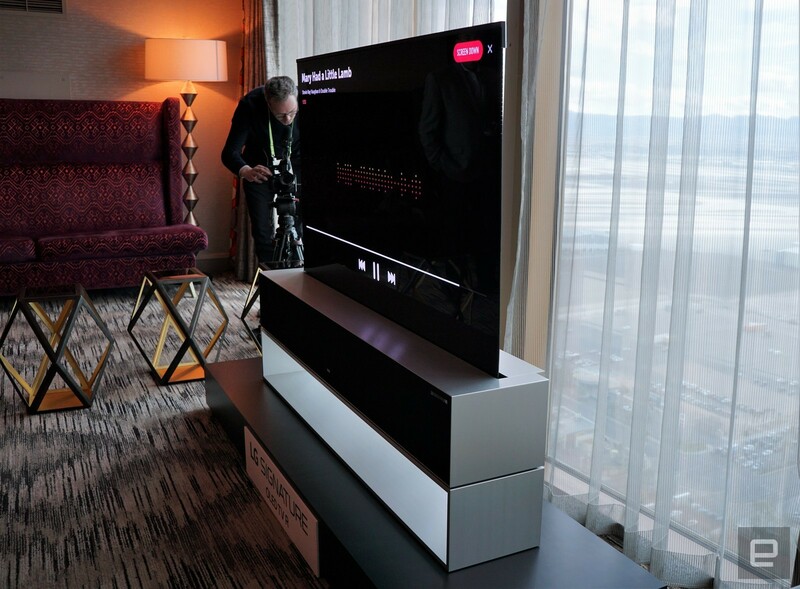 It consists of a large base stand that houses a 100-watt Dolby Atmos speaker system and the actual window blind-like 65″ OLED panel that can roll up and down. The display has three modes: a full-screen “Full View” experience, a partially rolled out “Line View” mode, and then “Zero View”, in which the user only makes use of the audio system. 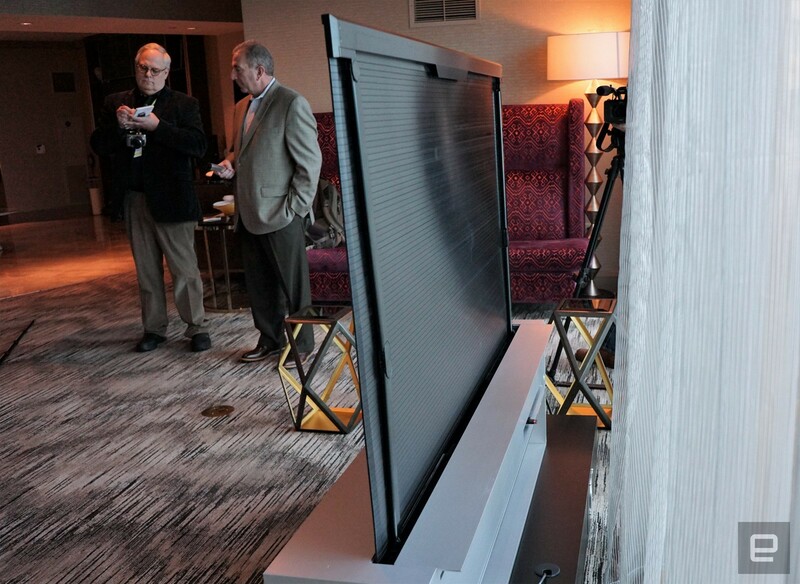 Read more for another hands-on video, pictures and additional information. 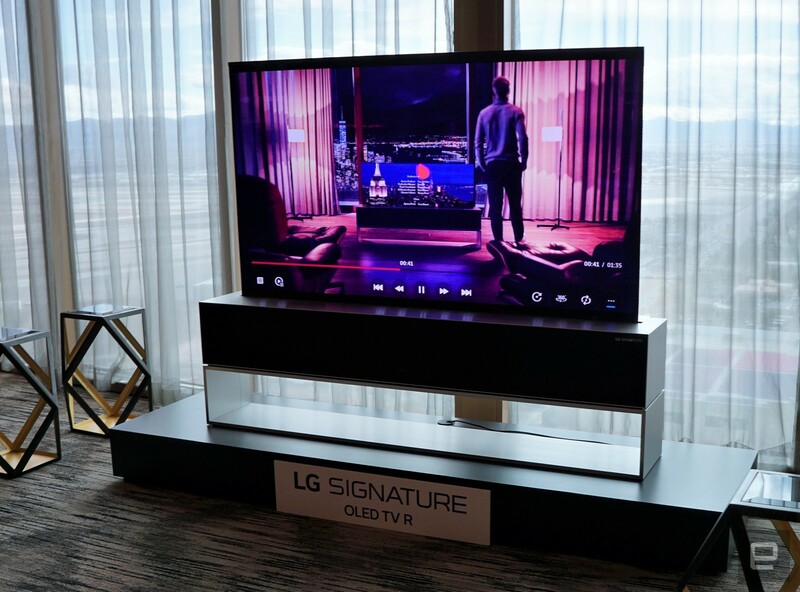 LG has not yet announced official pricing, but considering this would be one of the first of its kind to hit the market, expect to pay a hefty price. A spokesperson stated that the launch would be in the second half of 2019 and probably closer to the end, but as you may already know, there’s always delays. 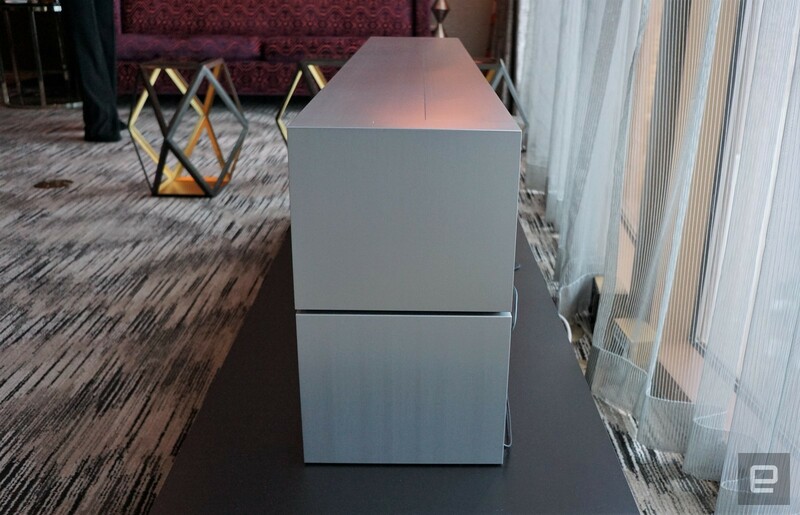 “LG claims the set is good for 50,000 rolls, but it’s unclear how long that actually entails. As with any device with moving parts, its roller could eventually fail, which adds a certain amount of anxiety for potential owners. 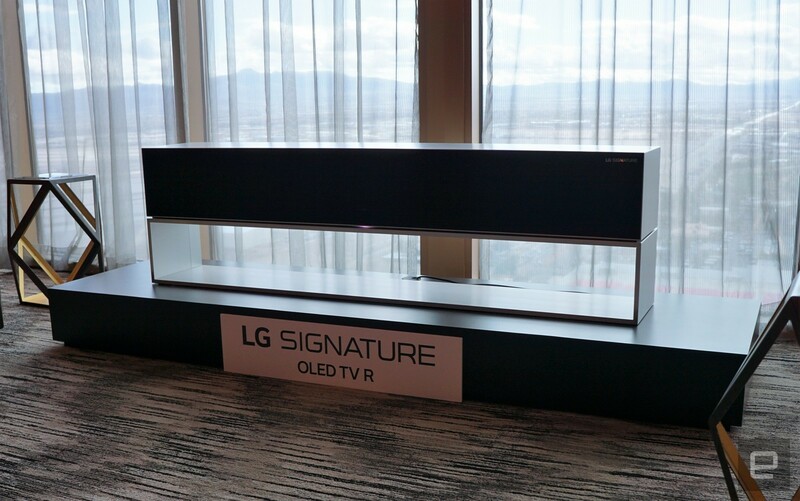 Quality-wise, the rollable TV is on-par with LG’s other 4K OLED screens this year (including support for 120FPS), and it’s also powered by the second generation Alpha 2 processor,” reports Engadget.